Owned media is promoted via paid media. 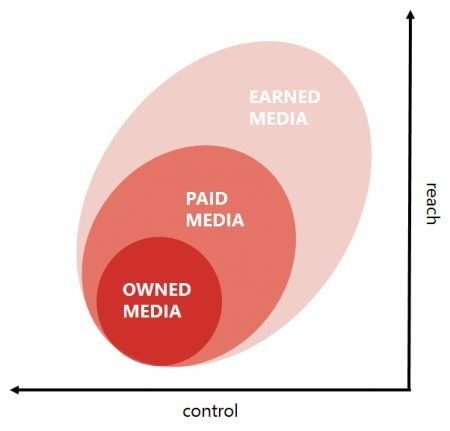 Owned media is optimized for earned media. Earned media is responded to via owned media. Positive earned media can be promoted via paid media. Social media advertising can be engaged via earned media. A recurring factor when considering the use of media channels is the tension field between reach and control. Reach means the number of people reached via the channel. Of course, it primarily concerns itself with people who are potential DMU members for the products and solutions that are being sold. Control involves the measure of influence that the organization can have in the presentation of the message or content. Looking at the different media options, the advantage of owned media is optimal control. The message, the design, the tone of voice and the format are completely in the hands of the organization. The flipside to this is that the reach is limited mainly to existing relations. To generate new business, it’s vital to involve paid and earned media. Traditionally, paid media was always seen as the most obvious media channel. The rise of social media and content marketing has given owned media and earned media a bigger share in the mix. Owned media is growing because of the increasing value placed by organizations on the production of valuable and relevant content. Earned media is gaining attention due to its potentially huge reach using the relatively low threshold involved in social media, blogs and communities. In practice, though, it’s still very difficult to run effective, large-scale campaigns without involving paid media in some sort of capacity. Beside looking at media as either owned, earned and paid, it can also be looked at from a push and pull approach. 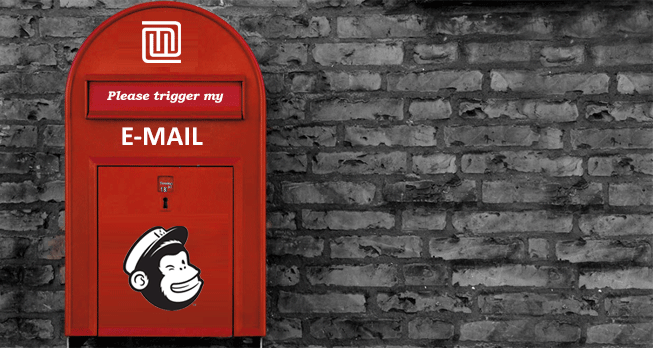 With push communication, the sender determines the content and the timing of the message. If you receive a weekly e-newsletter, then you know beforehand what the editorial team will have in store for you and when it’s going to land in your inbox. In pull communication, the initiative is with the receiver of the communications. For example, you can search for a certain topic on Google and arrive at a relevant publication that way. 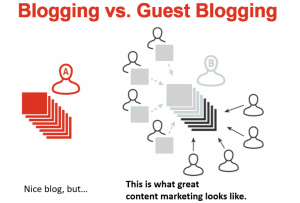 In content marketing, pull and push mechanisms have their pros and cons. A big advantage of the pull mechanism is that visitors are searching for a specific topic. When they find it, the conversion from site visit to lead is high as the correlation between the visitor’s interest and content offered is significant. The big drawback of the pull mechanism is that the number of people who search at random moments for a certain topic is relatively low. The advantage of push media is that within a short amount of time you can achieve a large reach with a quick response. The disadvantage of push media is that since the communication is initiated by the sender, the receiver will not always be open to this communication. When planning media, it is sensible to take into account the differences in response expectation. This is particularly relevant for the follow-up. When you provide white paper downloads in a newsletter but during the week that the newsletter is sent there is insufficient time for follow-up, then you’re missing the boat. Leads fall behind quickly and quickly become irrelevant. 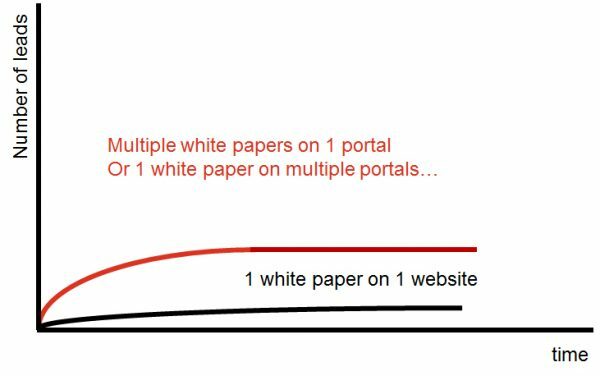 However, when you offer one or more white papers on multiple portals that are designed for search engine marketing, people will continuously request them. 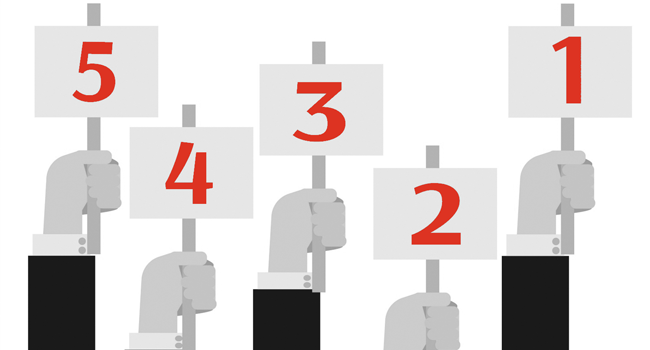 The follow-up process should be the continuous filtering of leads. When setting up the media, you should combine push and pull mechanisms. Many content marketing initiatives start by posting content via their own media, such as their blog or in the knowledge section of their website which gets picked up by search engines – this pull gets you traffic over time. To have direct traffic on your content you can add push mechanisms, like your newsletter and direct promotion in paid media. In B2B content marketing the production of sufficient, appealing high quality content has been one of the biggest challenges. Additionally, the best content is in the heads of different employees, and not everyone is keen to start writing blogs, participating in webinars and taking part on social media. Facilitating the organization is of great importance. And when the decision is made to outsource the creation of content, the message and tone of voice need to be on target. The production of content and the management of a content marketing process requires new skills and competencies from the organization. The content marketing process shares parallels with a publishing company, but most organizations are not (yet) publishers. The different skills are contained in silos. As such, different people or departments are responsible for SEO, PR, social media, product marketing and the customer magazine. This chapter delves into the roles and functions required for content marketing, forming multidisciplinary teams and the question of outsourcing. The roles that need to be filled in an extensive content marketing organization can be linked to the seven steps of B2B content marketing discussed in this e-book. This paragraph describes the various roles that are assembled based on the setup recommended by the Content Marketing Institute. It’s a vision of the marketing department of 2025. Each role need not be a position. In practice, various roles will be carried out by one person or undertaken by existing people in other positions. In small organizations, all the roles can be taken on by one content marketer. He or she will never be short on work! The position of chief content officer has gained ground as a result of strategic choices made by more and more organizations in terms of content marketing. The position is also known as content strategist or VP of content. This is the person who is ultimately responsible for content marketing within the organization. The chief content officer doesn’t create content himself/herself but an affinity with content creation is a must in for the role. Thinking in terms of content or its creation is in this person’s DNA. The CCO is comparable to a publisher. He is the gatekeeper of the corporate story, the ambassador of all the content. The CCO guarantees that locally created content from different silos of the organization is consistent with editorial guidelines and aligned with the audience. Not only does he or she have a pulse on the market but they provide support in the content strategy within the organization. 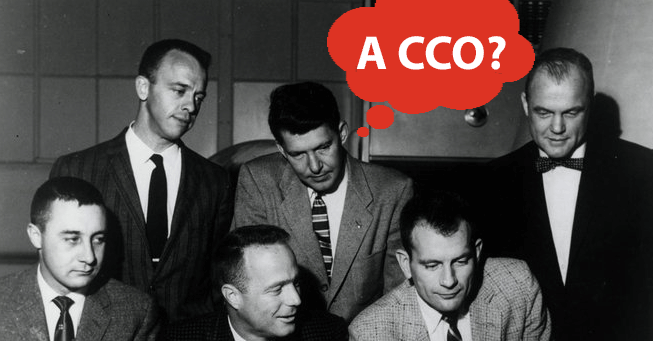 Where the CCO focuses on the strategy, the managing editor deals with the execution. In smaller organizations, the position of managing editor and CCO are generally carried out by the same person. The managing editors are generally content creators themselves but, depending on the amount of content, the type of content and the format, they will need to involve other people in the process. This can be their own editorial team but valuable contributions generally come from the so-called subject matter experts within the company. These could be consultants, product managers, innovation managers, C-level managers or analysts. These content creators needn’t be born writers; it’s up to the managing editor to translate these stories into content. They have their feet firmly rooted in the organization and can share knowledge, expertise and experience in the most relevant and transparent way via working with ghostwriters, conducting interviews or editing existing pieces. The content curator searches online for news, trends and developments that are relevant to the target audience. The curator is generally not a standalone position but a role adopted in the content creation or social media team. Relevant input is brought to their attention via social media channels or from the content creation team. Curation can be used effectively to enrich your own content, remain current and increase cohesion between existing content items. The social media coordinator is the roaming gatekeeper between the (social) media channels and the organization. This person follows and participates in the conversation on social media on behalf of the organization and involves the relevant departments for specific questions and discussion points. For the content marketing team, this person is an important source for new information regarding what engages the target group so the marketing team can respond accordingly and continue to produce relevant content. The audience manager is responsible for monitoring and honing in on the target groups, the decision-making units and the buyer personas. The core of content marketing is anticipating demand, questions, needs and dreams of the target audience. So, it’s important to continue to guarantee this and anticipate new triggers in time. The audience manager is closely involved with segmenting and increasing the database. The investment in high-quality content is big, but small adjustments in the title, management summary or visuals can significantly affect responsiveness. The appeal to share messages via social media can be strongly influenced by adding just the right twist. The first responder puts the content under the microscope before it’s published and optimizes it for maximum effect. A lot of content can be reused in different channels and each channel has its own set of characteristics. The first responder works closely with the channel marketer to optimize content for each channel. 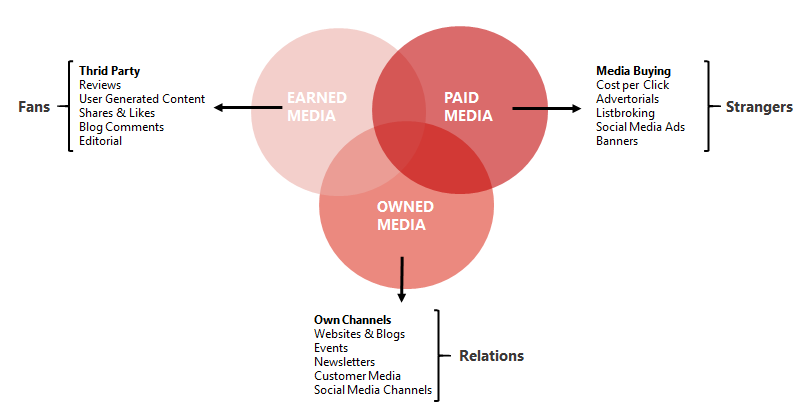 Content reaches a target group via different channels – the owned, earned and paid media. This can include your own online channels, social media, apps, magazine or events. Each channel has its own set of characteristics, content specifications and promotion possibilities. Channels can also differ in the timing of use or popularity among the buyer personas. The channel marketer is responsible for channel optimization. For stimulating messaging and reach of specific or new target groups, paid media remains an important part of the communication mix. The media buyer/planner is responsible for the purchase and optimization of paid media. Where the curator is responsible for gathering external content, the syndicator ensures that self-developed content is shared on third-party channels as much as possible. The content syndicator is responsible for generating maximum exposure via earned media by ensuring that what he is sharing is straightforward and appealing. This person can be responsible for a subset of the content or all its assets. Beside maintaining media contacts, the traditional PR officer increasingly focuses on maintaining contact with influencers. This person takes care of a network of relevant contacts with media, thought leaders, subject matter experts and recognized trendsetters. The gap between marketing and sales is reduced by organizing a process to transfer marketing-ready leads to the sales team at the right moment. 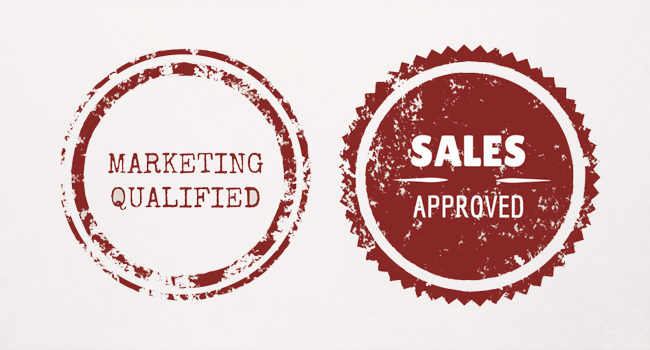 The lead manager is responsible for the qualification and nurturing of the marketing leads and the comprehensive transfer to the sales division. The analytics expert takes care of substantive reporting of KPIs and interprets the results. This expert keeps a watchful eye on achieving the set objectives and analyses discrepancies. Not only will the content production be done by the organization itself but, as content marketing activities grow, outsourcing to third parties will increase. Freelancers can be called upon to write content on specific topics to carry out specialist work, such as the creation of animations. Agencies will also come into play to set up and execute content marketing campaigns or to advise. The supplier relationship manager is responsible for recruiting this network of specialists and forming the organizational processes that require collaboration. The adoption of content marketing requires the development of new competencies within the whole organization. In-depth expertise of content marketing can be expected from the content marketing team, but the requirements extend further. From subject matter experts to product managers and C-level employees, substantial contribution is expected for content to tell the story and distribute the messages of the organization. And employees can be expected to engage their network via social media and share content in a personal way. But this has to be according to the guidelines of the organization. The training and coaching lead takes care of the development of competencies of the organization. The employees are the core for every service-providing company and the embodiment of the story and the messaging. And as every employee presents a channel in itself, it’s important in content marketing that the thinking is propagated by the HR organization. The HR liaison takes care of HR policy and the requirement for employees to communicate and behave consistently and transparently within the organization. Technology plays an increasingly important role in the content marketing process, from online marketing tooling – such as content management systems, email marketing tools or marketing automation software – to various internal systems. The chief technologist is responsible for the technical infrastructure and its development. Internally, the team of the chief technologist can include a webmaster and a software developer who work on customized solutions. Externally, this person also steers the external service providers. 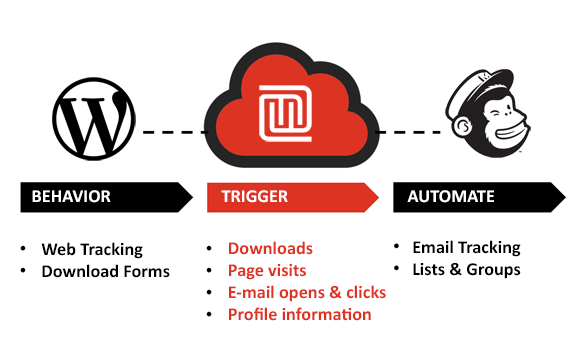 To plug and play with your favorite marketing tools, Manceppo helps out with its easy to use platform. Download our paper on ‘Organizing B2B Content Marketing’. The return on modern marketing is rooted in the conversion from unknown vistor, to customer relationship. There are many stages in between however, such as subscribers, followers, leads and prospects. In order to properly measure the performance of the modern marketing process, it’s important to define KPI’s. By steering according to KPI’s, you can improve the performance, for example, in the form of click and conversion ratios. Improvements can be made in the titles, user interface, alignment with the target audience, response to the device and the use of visuals. Research shows that content creation is seen as one of the biggest challenges for content marketing. It’s not just authors who suffer from a ‘writers block’, complete organizations face this problem. Creating content in itself is challenging, however, due to the rapid growth of content marketing initiatives, distinctive content is becoming more and more important. When content becomes a repetition of previously published knowledge or facts, the added value is limited. Providing content of high quality, with unique characteristics, increases its appeal. Here is what to create and where to begin. Which content formats can best be applied, is of course an interesting question. The Content Marketing Institute 2016 carried out relevant research on this subject matter. 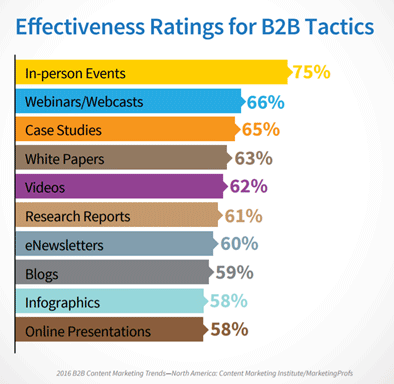 Approximately 1500 B2B marketers that took part in the survey, were questioned as to the effectiveness and the use of different content marketing tactics. The tactics that are perceived as most effective, are shown in the figure below. The effectiveness of a format depends very much on the message and the audience, but also, of course, on the quality of the content and reach of the audience. It’s impossible to single out one format or offer advice on the best application thereof. It is possible however, to logically link content formats to the buyer journey. In order to stimulate the discovery process trend analyses, vision and infographics can be suitable. The consideration phase, however, lends itself to formats that can transmit more in-depth messaging, for example, whitepapers, checklists and demos. Furthermore, the chosen content formats must be suited to the DMU (Decision Making Unit) member they are targeted at. When establishing the framework for the use of online messaging, the DMU members and the phases of the buying process should serve as the starting point. As such, downloadable research reports and vision documentation can be interesting for executive board members, and whitepapers about organizational issues for line managers. Here, individual content items are not standalone entities, but rather combined in order to reinforce one another. In the example above, research can be combined with roundtable sessions. But that same research, can give rise to, among other things, blogs for blogsites and infographics to be applied on social media. The same basic content is then used in a different context, aimed at different DMU members.